Kidney stones form when substances that are normally dissolved in the urine concentrate together and aggregate into stones. 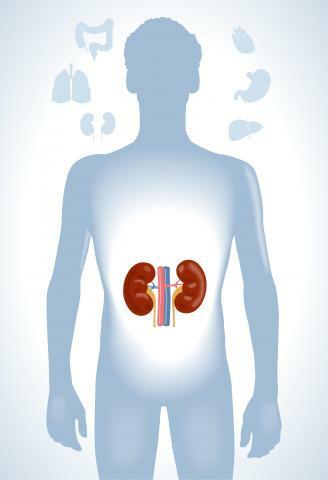 Kidney stones affect over 40 million Americans every year. They can cause severe pain and often require visits to the emergency room. As an internationally recognized center for urinary stone disease, we focus on treating kidney stones and preventing them from recurring. Studies have shown that patients who have a single symptomatic kidney stone are likely to have another if not treated within five years. Our goal is to provide the most advanced treatment for painful kidney stones and also long-term management strategies, such as dietary modification and medical management, to prevent stones from recurring. At UCSF, we specialize in minimally invasive surgery for kidney stones, including ureteroscopic and percutaneous stone removal in addition to lithotripsy, which uses powerful shock waves to break up stones. These minimally invasive options lead to faster recovery time and improved patient outcomes. We combine our expertise in clinical care with an extensive research program to constantly advance the options for treating patients with kidney stones and prevent recurrence.